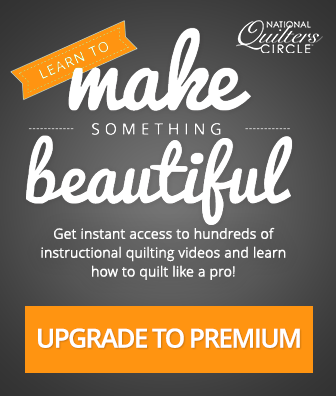 Watch even more great videos when you become a National Quilters Circle Member! Assembling a quilt sandwich is an important part of finishing a quilt. Once a quilt top has been pieced, this is the step of the process that needs to happen before it can be quilted. 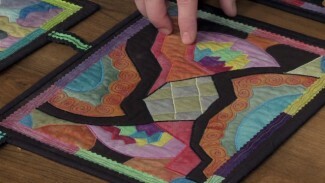 ZJ Humbach walks you through this process and explains how a quilt sandwich is made. A quilt sandwich is made of three layers- a backing fabric, batting and then a quilt top. ZJ explains how to begin assembling these layers by laying the backing fabric flat on a surface. She gives tips on where to lay out this fabric so that it is flat and not hanging off the edge of a table, even if it is a large quilt. Because of size issues, where you sandwich a king size quilt may differ from where you sandwich a throw size quilt. Once she shows how to lay out and secure the backing fabric, ZJ shows how to add the batting. 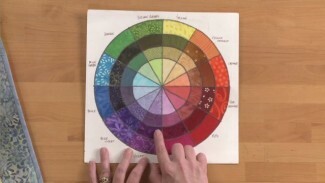 She explains why the backing fabric and batting should be a different size from the quilt top and shares a good rule of thumb for figuring out what that size should be. They last part of a quilt sandwich is to add the quilt top. ZJ shows how to do this and also shows her preferred method for securing all of the layers together. While there are several methods for this (basting spray, standard straight pins, etc.) ZJ shows what quilting safety pins look like, explains how they differ from regular safety pins and shares why she likes to use them. 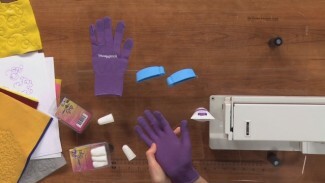 Although the quilt sandwich technique ZJ demonstrates is used when quilting a quilt on a sewing machine, it is not the method used when quilting a quilt on a long arm quilting machine. 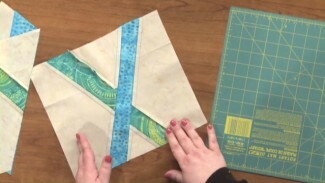 ZJ explains how the methods differ and also offers some machine quilting tips and techniques.